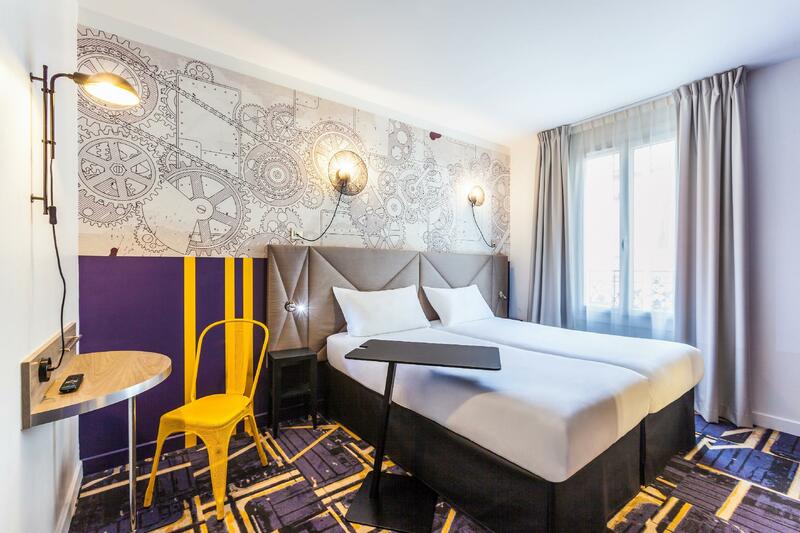 ﻿ ibis Styles Paris Mairie De Clichy Paris. JIMAT di Agoda.com! Ada soalan mengenai ibis Styles Paris Mairie De Clichy? Ketika melawat Paris, anda akan merasa seperti di rumah di ibis Styles Paris Mairie De Clichy, yang menawarkan penginapan berkualiti dan perkhidmatan hebat. Hanya 1 km dari pusat bandar, lokasi strategik hotel memastikan tetamu boleh ke mana-mana sahaja dengan cepat dan mudah ke tempat-tempat tarikan. Syurga untuk berehat dan bersantai, hotel ini akan menawarkan pembaharuan penuh hanya beberapa langkah dari pelbagai daya tarikan bandar seperti Batignolles Cemetery, Kedutaan Mauritius, Cite des Fleurs. ibis Styles Paris Mairie De Clichy juga menawarkan banyak kemudahan untuk memperkayakan penginapan anda di Paris. Fasiliti utama di penginapan juga termasuk Wi-Fi percuma semua bilik, meja depan 24 jam, simpanan bagasi, Wi-Fi di tempat awam, tempat letak kereta. 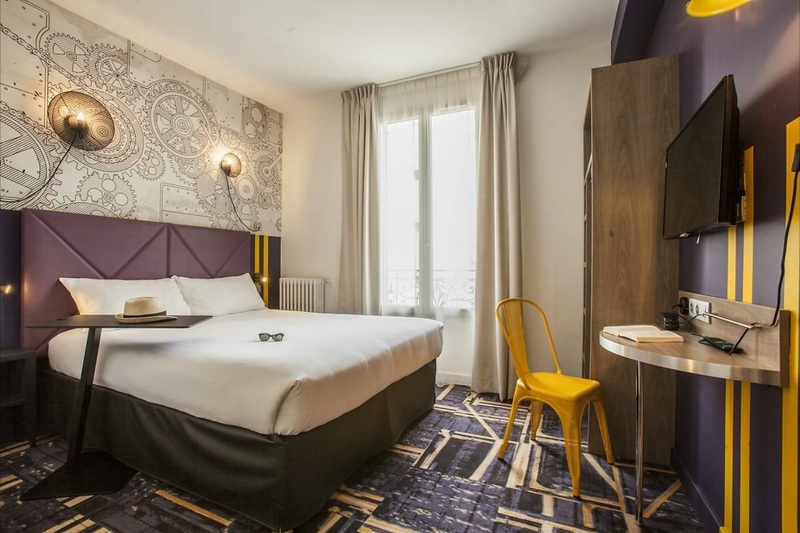 ibis Styles Paris Mairie De Clichy mengandungi 42 bilik yang dihias indah dan menawarkan rak baju, cermin, ruang tamu asing, internet wayarles (percuma), penyaman udara. Di samping itu, pihak hotel menawarkan aktiviti rekreasi untuk memastikan anda mempunyai perkara untuk dilakukan sepanjang penginapan anda. Apapun alasan anda untuk melawat Paris, ibis Styles Paris Mairie De Clichy adalah tempat yang sempurna untuk percutian yang menyeronokkan dan menarik. Harap maklum semua tetamu, termasuk kanak-kanak, perlu membayar cukai bandar sebanyak EUR 1.10 seorang satu malam di hotel semasa tiba. Caj ini adalah caj tambahan dan tidak termasuk dalam harga bilik. Harap maklum tetamu perlu membayar cukai bandar sebanyak EUR 1.10 seorang semalam di hotel apabila tiba. Caj ini adalah caj tambahan dan tidak termasuk dalam harga bilik. Bilik Standard dengan Dua Katil Single. 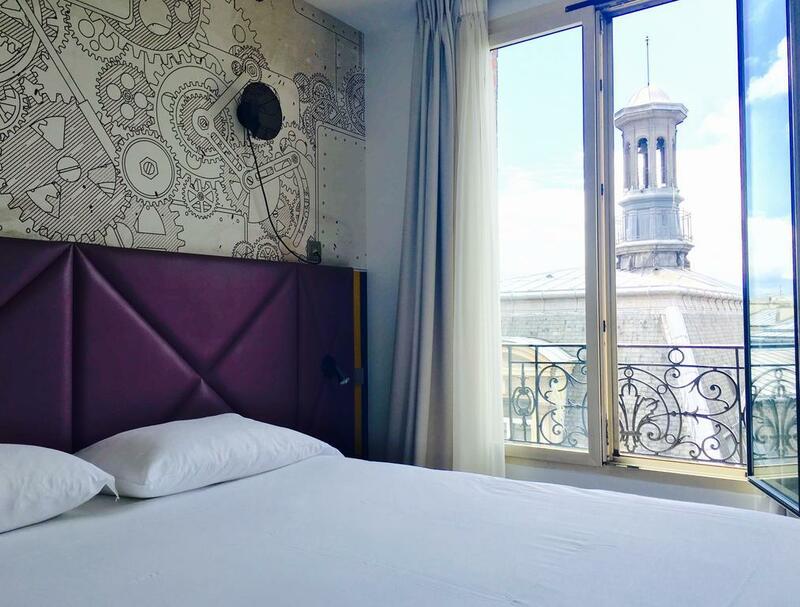 The hotel is your best bet for a convenient and comfortable base in Paris. The hotel's staff, especially Mohamed, are very accommodating and helpful. They go out of their way to help you. 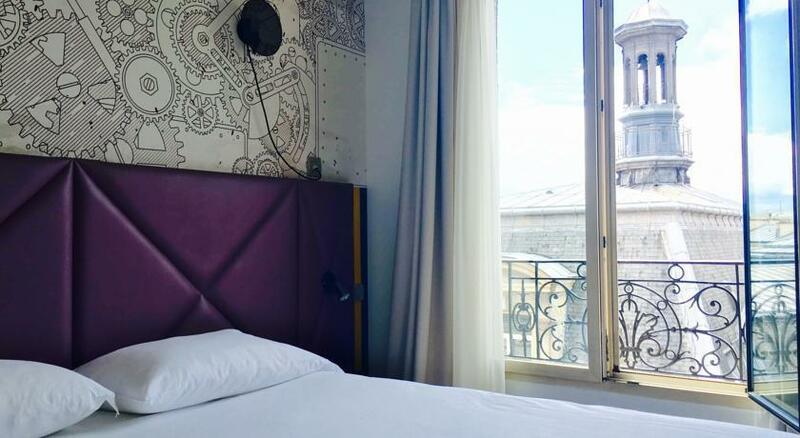 The hotel itself though is quite far from the center of Paris, but is near shops and restaurants and is well connected to the City through the Mairie de Clichy metro station. I would not mind staying here again. Stayed here with extended family occupying 2 rooms. The family room was a decent size (we have two adult-sized teens). Breakfast was simple but good. Paris Metro is just around the corner. Takes about 15 to 20 minutes to get to most major tourist sights. Please keep in mind that the trains here don't run as frequently as the more popular lines so adjust travel time accordingly. Quaint neighborhood with a street market very close by (not open everyday but there is a regular market next to it). We visited in May and the only issue we had with the hotel is that they don't turn on the air conditioning until a certain time of year. Some days the room would be too hot but opening the window was not an option because of the street noise. Best part of this hotel is Mohamed Zawi, the front desk guy who welcomed us when we arrived. He really went out of his way to make us feel welcome and comfortable. Something very much appreciated when you've just traveled close to 24 hours with elderly parents in tow. Would highly recommend this place for travelers looking for an affordable but comfortable place to stay. breakfast was good, hotel is great value for money, very close to the metro and easy access to the centre despite the hotel being outside of the touristy areas. Room very small for the price, but it's Paris, what to do. Decoration of the room is nice and trendy. Very clean. 2 min walk from subway Staff is very friendly and proficient in several languages. Breakfast is plentiful and good with a wide choice. Wifi working well. The hotel location is excellent very close to metro station. clean room, no electric boiler. In the first night, it was black out the whole night with no emergency generator. We stayed at the Timhotel for a weekend 22-24 April 2016. It's just around the corner from a Metro station from where you can get anywhere in Paris quite easily. It's currently being renovated as it's in need of updating but was very clean and our room was perfect for our needs. We found it quiet too and had 2 good nights sleep. The staff were extremely helpful and friendly, very welcoming. They go beyond the call of duty to ensure their guests are happy. 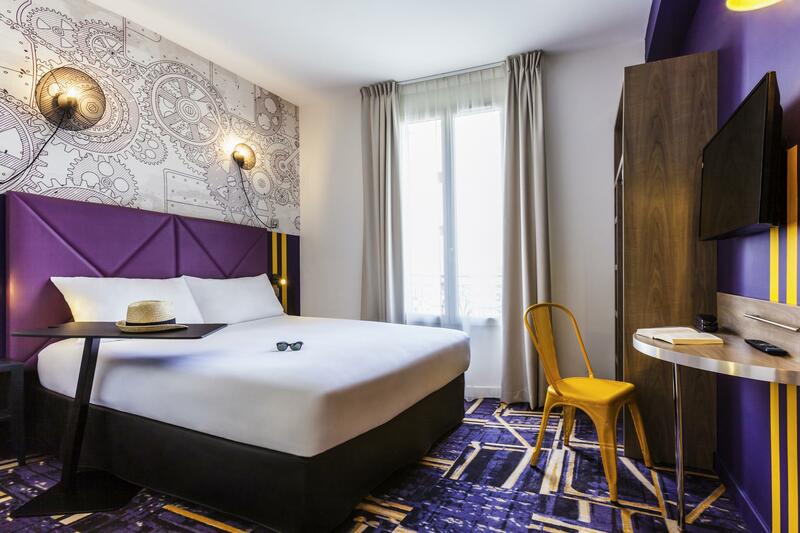 The hotel location is excellent very close to metro station & buses with direct access to champs élysées & saint Lazzare from where you can change different lines. Staff was very nice specially the Moroccan guys in the reception & the manager was also nice. Things I didn't like The room size is so small & the housekeeper wasn't cleaning the room properly. But any how it was very good for the money paid specially that everything in Paris is so expensive. Stayed here for 4 nights. 3 minutes to Marie de Clichy metro. A quiet hotel just a street from the main road. Bed was good and nice! Clean and frendly Staff Close to Metro good! Auisreichend grosses Zimmer mit Bad im EG.Grosses bequemes Bett,Hilfsbereites und freundliches Personal mit guten Englischkenntnissen und guten Vorschlägen zu metroverbindungen und Infos rund um Paris...Danke dafür,saubere Zimmer und Bad,Gutes Frühstück und Gratis Kaffee den Tag über also auch abends wenn man zurück ins hotel kam war gratis kaffee da. Hotel eigenes kleines Parkhaus mit 7 Stellplätzen für 18 €/Tag praktisch und sicher,Metrostation in 5 min zu erreichen,Auch in 5 minuten zu erreichen ein McD und eine Pizzeria.....Für den "Notfall-Hunger" da miserabler service und unsauber.....besser vorher im Zentrum was essen,Hotel mit dem Taxi anzufahren von Paris Zentrum kostet 25€ dauert aber fast 40 min und das am abend um ca.21.Uhr.....Also besser die immer volle Metro da ist man in gut 15 min in Clichy....Wir würden das hotel wieder wählen und auch empfehlen.....Danke nochmal an das Hotel-Team....Exellent Job Guys...Thumb Up !!! buon hotel per viaggi di lavoro, camere accettabili e pulite con spazio sufficiente per lavorare. 생각보다 작은 객실이어서 트렁크 놓기가 불편했습니다.시트나 타올은 매일 갈아주어서 좋았지만 화장실 냄새가 나네요. 메트로역에서 가까웠지만 여자들만 다니기에는 좀 외진 느낌입니다. Was alles naar onze zin, goede bedden, schone badkamer, vriendelijke personeel die goed Engels sprak , ontbijt was simpel maar zeer lekker en alles van goede kwaliteit. Ligging is ook goed alleen beetje moeilijk met parkeerplaats, maar om de hoek is een parkeergarage waar je kan voor 14,5 per 24 uur parkeren. Samen hebben we het hotel gebruikt als uitvalsbasis voor 3 dagen Parijs. Het is erg prettig om dan na een lange dag wandelen terug te komen in een goed verzorgde kamer die van alle gemakken is voorzien. Dichtbij een metrostation en supermarkt ben je in de nabijheid van het hotel van alles voorzien.